Some groups are upset that the company will receive more than $100 million in tax incentives for the project from the city and state. For Nashville’s part, they will kick in $500 per year per job, which could total $15 million over seven years. The Vanderbilt University campus was briefly on lock-down following two separate robberies where one man was shot as the two suspects fled towards campus. EY, the accounting and professional services more often known as Ernst & Young, probably wishes their announcement of bringing 600 jobs to Nashville on Tuesday had waited a day or two before getting buried in the Amazon news. They will be based near Music Row. The news is not all great for apartment renters when large employers move to town, realtors say. In other sports news, Nashville has also been selected as the National Women’s Hockey League (NWHL) host city for the league’s 2019 NWHL All-Star Weekend. The event will be at Ford Ice Center February 9 and at Bridgestone Arena February 10. 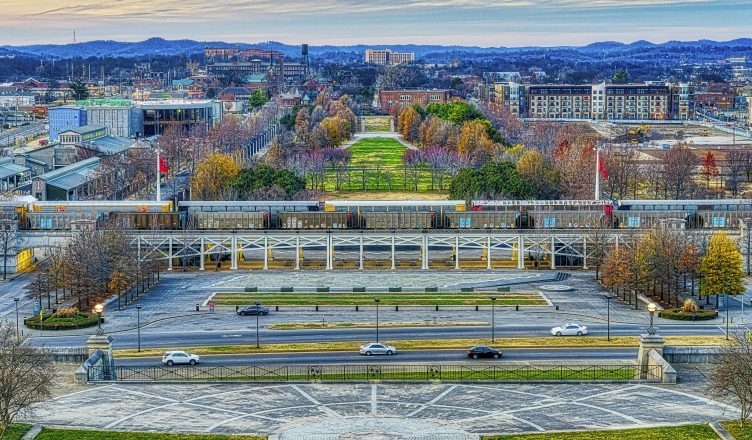 The city of Nashville has begun soliciting bids for the demolition of Greer Stadium, once planned to be the site of a mixed use development before an archeological survey suggested that slaves were buried there during the construction of nearby Fort Negley. The demolition project is expected to cost as much as $1 million and would begin immediately upon the selection of a vendor. Belmont University says that it is working to improve its counseling services after students experienced long wait lists and were told it would be weeks before they could receive individualized therapy. Country music singer-songwrite Dierks Bentley has abruptly resigned from the Nashville International Airport Authority board of directors following his refusal to turn over emails and text messages related to a wrongful termination suit filed by the airport’s former CEO. Bentley was an unusual choice for the board by former Mayor Megan Barry. The Nashville Sounds, the city’s minor league baseball team, will unveil an update to their branding today at First Tennessee Park as they begin their affiliation with the Texas Rangers. The team last rebranded in 2015 with the move from Greer Stadium, so it’s not your imagination that it hasn’t been that long. The Nashville Predators (13-4-1) stumbled a bit on their long annual CMA road trip with 2-1 shootout loss to the Anaheim Ducks (8-8-3) Monday night and a 5-4 comeback loss to the San Jose Sharks (10-6-3) Tuesday night. The team wraps up the road-trip against the Arizona Coyotes (8-8-1) tonight. Predators forward Austin Watson has been reinstated to the active roster following his lengthy suspension stemming from a domestic violence incident where police say he shoved his girlfriend back in June. The player’s union put out a brief statement on his behalf and neither the team nor he will be commenting further. In sad news, the Nashville Zoo has euthanized one of its popular Andean bears after the four-year old male suffered from a series of massive seizures. The animal had not shown any signs of distress prior to the episode. Still no word on whether the guy who “borrowed” the uniquely colored Lamborghini was ever found after being spotted in LaVergne, Madison, Murfreesboro, etc. Rentals cannot be considered stolen until 10 days after they demand it be brought back. The Dog Spot, a dog daycare and grooming company with locations around Nashville, has been ordered to pay $6,000 plus attorney’s fees to a dog owner who filed the lawsuit after pet chihuahua was fatally injured by another dog in their care. And it isn’t the first — The company has faced relentless criticism on social media for alleged abuse. Metro Animal Care and Control is reminding folks that with temperatures dropping, animals must be properly cared for to keep them safe and warm. Bill Kelly, the former head of Jimmy Kelly’s Steakhouse in Nashville has died. He was 86. Tennessee could legalize sports betting if a proposal by a Knoxville representative becomes law. Incoming Governor-elect Bill Lee has said he would oppose expanding gambling in the state.